X-rays negative, and Mickey Callaway says his starting catcher is "totally fine." 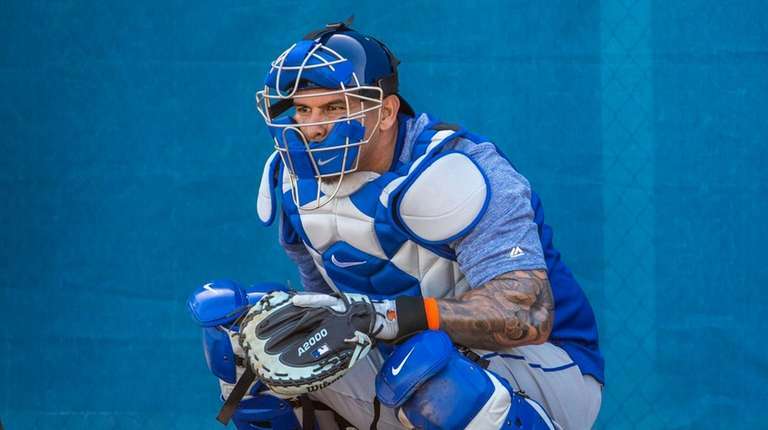 PORT ST. LUCIE, Fla. — With their backup catcher question still unanswered, the Mets know that Wilson Ramos, at least, is ready for the regular season. 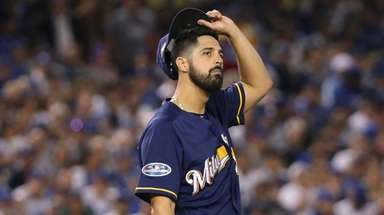 Ramos was hit in the right hand by a wild pitch from prospect Simeon Woods Richardson on Sunday and left in the third inning. 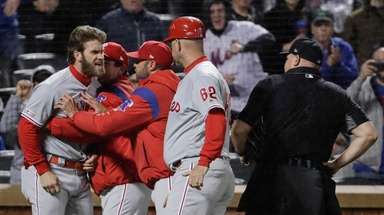 But X-rays were negative, manager Mickey Callaway said after the Mets beat the Nationals, 8-4, in their Grapefruit League home finale. The Mets are still deciding between Travis d’Arnaud and Tomas Nido as the backup to open the season. D’Arnaud stayed in Port St. Lucie as the Mets headed to Sarasota on Sunday evening. He’ll catch Steven Matz and Jason Vargas in minor-league games the next couple of days. 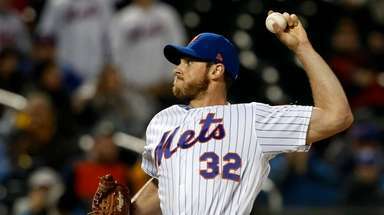 He’s still trying to prove to the Mets that he is fully recovered from Tommy John surgery last April. His in-game throws to second on steals haven’t been sharp, but he said he hasn’t had any issues with his arm. Callaway said the Mets will weigh d’Arnaud’s input heavily in deciding if he is ready. Tim Peterson again is a candidate for the Mets’ final bullpen spot, and he went with the team to Sarasota, capping his eventful, unusual weekend. On Friday, the Mets optioned Peterson to minor-league camp. On Saturday night, they told him he’d rejoin the major-league team, at least temporarily. On Sunday, he threw two scoreless innings in a spot start against the Nationals. 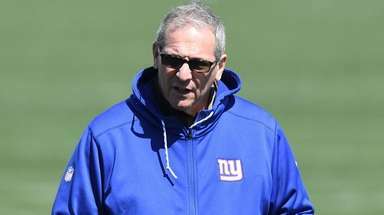 Two Long Island natives were special guests Sunday at First Data Field. Mike Costello and his brother-in-law Jimmy Reilly, both of Mastic, threw out a ceremonial first pitch, the highlight of their 10th annual spring training trip together. Costello, a three-tour Vietnam War veteran, has received public recognition before, though never quite like this, with a first pitch.